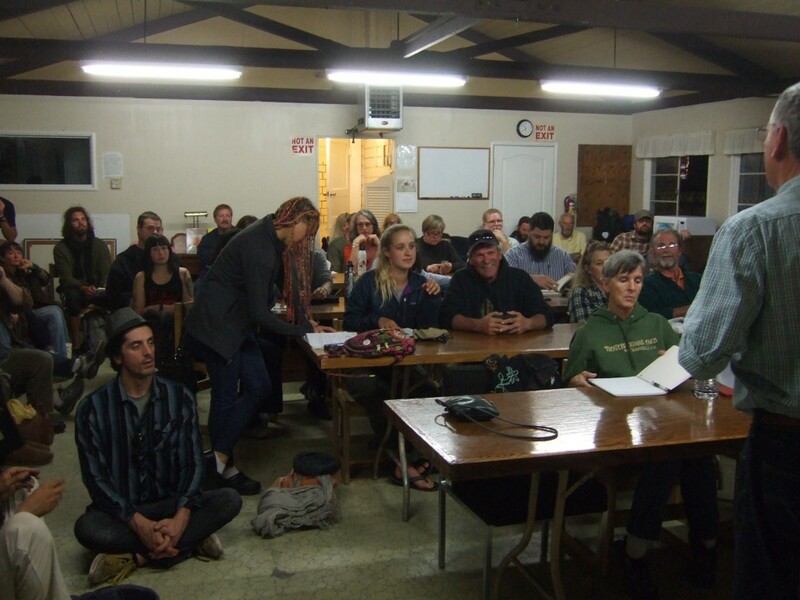 The Guild meets every first Wednesday of the month at the community room in the El Rio Mobile Home Park in Santa Cruz. See our event calendar for upcoming meeting dates. Never park inside the park, please park outside the mobile home community. Upon leaving, please keep your voices down so as not to disturb the residents. If you park on the street, make sure you pay your meter to avoid a ticket. If you park in the LENZ Arts parking lot, never block any cars. Staff sometimes stay until 7 p.m. and many park behind the building–behind the chain link fence. Any parking in the lot MUST, MUST be after 6 p.m. Earlier runs the risk of towing. After 6:10 p.m. is best. Never assume that all cars in the lot are beekeeper cars since they are typically not. Please, if you see someone in the Lenz Arts parking area not parking according to these conditions, tell them that they are jeopardizing our use of this lot. If a vehicle is already situated, bring it to our attention at the meeting with a description so the owner can be notified to move it before it gets towed. Below are some notes and information from a few of our past meetings. We also occasionally invite guest speakers to our meetings. With the speaker’s permission, we will post notes from these invited talks, as well.